My gorgeous friend Helen has started a little card challenge blog - A Card and a Half. 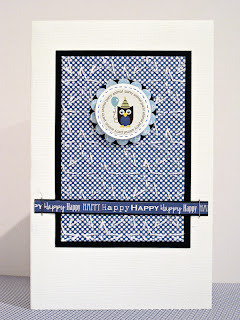 Her latest challenge was to make a male card using embossing and punches. 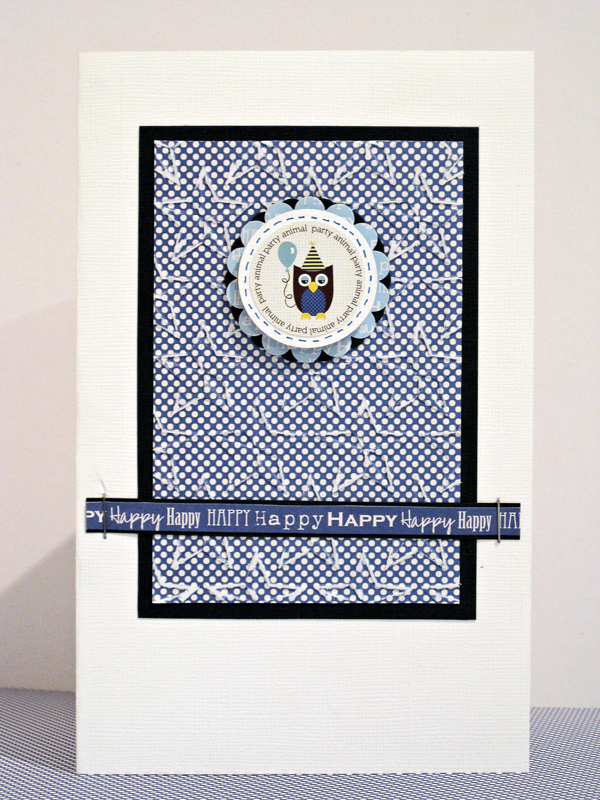 I chose to use the Spotted Owl Soup range from Jillibean Soup to make this card for a friend. I've kept it really simple and embossed stars on the spotty paper in the background, which I then sanded to reveal the pattern, and have punched the paper around the little owl. What a gorgeous card. The little owl is so cute. Good Luck!